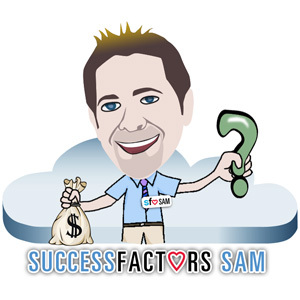 At the client site, SuccessFactors Sam often gets asked about the differences between Compensation Planning in SAP HCM and Variable Pay in SuccessFactors. Example – Salary planning could be in terms of merit or promotion lump sum. Bonus is based on company, personal, and or team goals and the stock program could be based on job levels. Example – Variable Pay comparatively calculates bonus based on individual performance, and/or company and team performance. This entry was posted in SuccessFactors Sam and tagged Compensation, Compensation Management, SAP HCM, SuccessFactors, variable pay. Bookmark the permalink.